Our phone lines are down and Comcast has given no indication as to when they will be back on. Contact us through Facebook or our email thecleanspotutah@gmail.com . Sorry for the inconvenience. Kitchen Household roll towels are heavily embossed for superior absorbency and performance. Regularly $31.99, marked down now to $27.00. Each case contains 30 individual rolls with 85 sheets per roll. Mention this post in store until 2/26 to receive this offer. With Flu season hitting everyone hard, stop by now to stock up on a case of facial tissue. Regularly $32.75, marked down now to $28.00. Each case contains 30 individual boxes of tissue. Mention this post in store until 2/16 to receive this offer. Before and after pictures of Lifeguard Revitalizer! Stop by and pick up your bottle before this awesome sale ends! 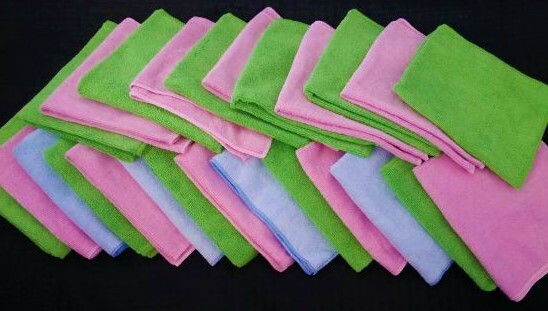 Also receive one free Microfiber towel with purchase! Mention this ad in store to receive this promotion. 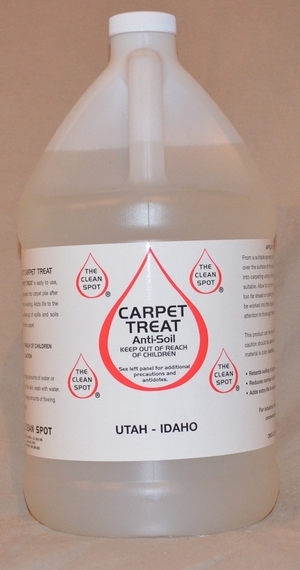 All carpet cleaning chemicals now 10% off also, receive a free gallon of Carpet Treat Carpet Protector with the purchase of any gallon of carpet cleaning chemicals. Mention this ad in store to receive this promotion. Come in and check out our huge summer sale!!!!!! 30, 50, up to 70% off over 60 of our amazing janitorial supplies and cleaning chemicals! Make sure you don't miss our sale on window cleaning and carpet cleaning chemicals! We have slashed prices and are excited to help you with all your Spring Cleaning needs! Come in and let us help you with your cleaning questions. We are the one stop shop for all your cleaning needs! Easy Dab is one of my favorite products in the store! It is so versatile and gets the job done in no time. Cleans, deodorizes, polishes, and brightens, leaving the surface with a smooth, soil repellant, mirror like sheen, all in one operation. Great on porcelain, tile, enamel, and metal. Twelve days of Christmas or at the Clean Spot 12 days of spotlighted cleaning products! Each day we will highlight a product in our store that will help make your home merry and BRIGHT! Day 1 Boardwalk Toilet Tissue & Heavenly Soft Kitchen Towels! This Holiday as your home fills with friends and family make sure you are stocked up on your basic household essentials. Come in and pick up a case of Boardwalk two-ply bath tissue: 96 rolls per case, and 500 sheets per roll, for $49.99. Don’t forget the kitchen towels. We carry Heavenly Soft brand kitchen towel: 2 ply, 85 sheets per roll, and 30 rolls per case only $31.99. We all have a few of those greasy grimy projects around the house that we have maybe been putting off for more then a little while. Well let us help with those tough chores! Just look at what Natural Force did for this old shop fan! Natural Force is great at cutting through the grease and years of grime! With all natural solvents and no harsh smell it makes those tough jobs a breeze. Come in to our store for your bottle of Natural Force and check out the rest of our exceptional products!